Grow your garden business from the ground up. 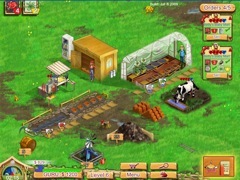 City gal Kelly has abandoned the concrete jungle for a budding organic nursery in Kelly Green Garden Queen. As the phone rings wildly and a variety of customers drop in, Kelly's small town life proves anything but dull. Join in the fun as Kelly's hippie brother and other quirky relatives pitch in to help in the garden. 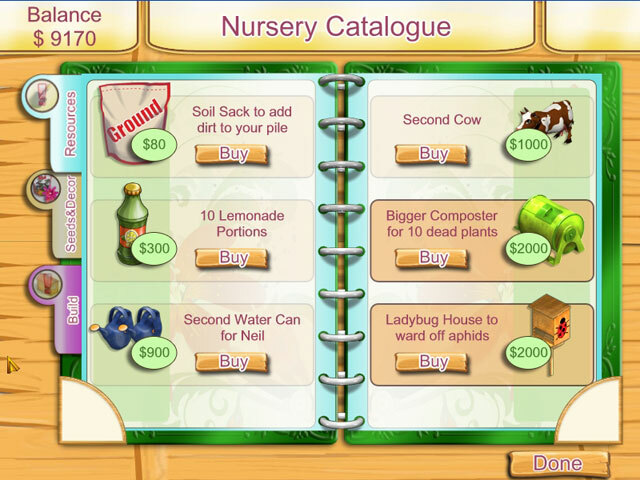 Arrange floral bouquets with your own creative flair, bribe a demanding businesswoman with lemonade, or wow the local farmer with an array of 20 different plants. Do you have what it takes to expand the nursery from a few pots to a large and thriving oasis? Can you withstand new challenges as your nursery changes with each season? 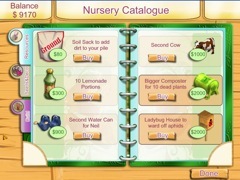 Customize your plot as you select from 50 garden gadgets to purchase and arrange as you wish on a zoomable screen. 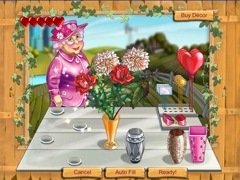 Appreciative friends and blossoming flowers will be your gratifying reward in Kelly Green Garden Queen!